A report released by the United Nations Committee on the Elimination of Racial Discrimination condemns Botswana's treatment of the 'Bushmen' as racist . 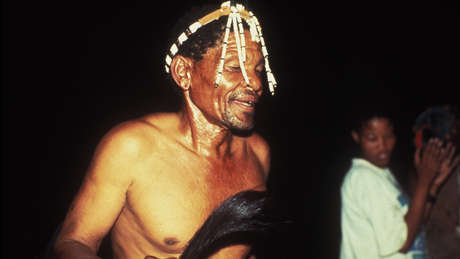 The report, released in August 2002, criticises both Botswana's eviction of the Gana and Gwi Bushmen from their ancestral land in the Central Kalahari Game Reserve, and government officials' prejudice towards all Bushman tribes (who are also known in Botswana as Basarwa or San). The UN Special Rapporteur on Indigenous Peoples had already expressed concern about the Botswana government's treatment of the Gana and Gwi earlier this year. This new report comes at the same time as criticism of the evictions by the US ambassador to Botswana, and European parliamentarians. From 'Concluding observations of the Committee on the Elimination of Racial Discrimination: Botswana', by United Nations Committee on Elimination of Racial Discrimination, 61st session, 23 August 2002. Click here to donate to our work for the Bushmen.